One of the best ways to grow your business is by engaging with your customers. According to a recent report published by Cisco, Internet video traffic will be 69% of all global consumer Internet traffic in 2017. If this is the case, the best way to engage with existing and potential customers is through the medium of video. 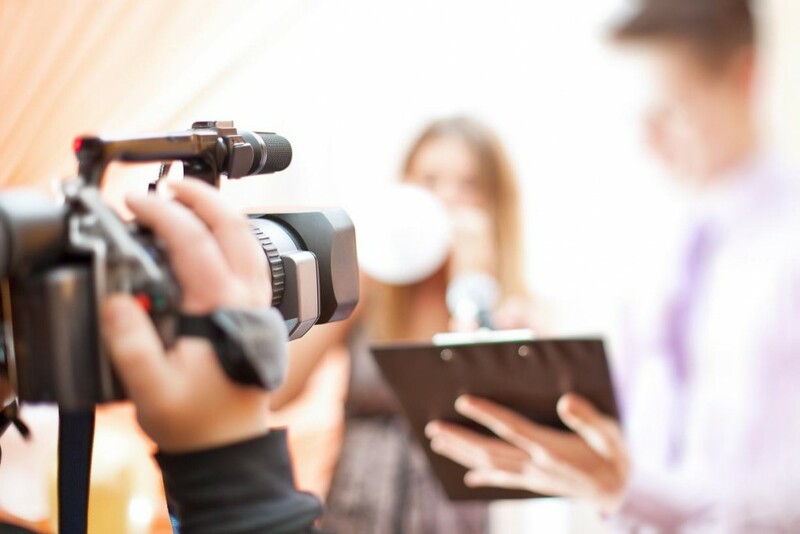 If you are looking to introduce video to your content marketing strategy but not sure where to start, we have spoken to successful start ups in order to get their insights and experiences when it comes to using video to reach their customers. Using these tips, you can answer what is marketing to the 21st century. First we have advice from Zabetta Camilleri, the Founder and CEO of SalesGossip. SalesGossip provides up to date information on all the latest sales and promotions on desktop, tablet and mobile. Needless to say, this top CEO can offer a thing or two on video content marketing advice. How important is video to your content marketing strategy? It is becoming very important. Up till now only a small fraction of the content we use is video but currently working on ramping it up extensively. How has the use of video helped your business? We believe that it will increase acquisition, engagement and loyalty. It also enables us to continue expanding on SalesGossip’s core USP, the merging of the beauty of engaging content in order to increase brand awareness for our partners with the intelligence of data driven performance marketing. Do you have any advice for other businesses looking to use video content? Ensure that the content is targeted to the right customer groups in order to maximize engagement to your call to action, just as you would in your more traditional brochure layout ideas. Next we have insights from Matt Broderick who provides marketing advice at mdbroderick.com. Matt is currently in the process of launching a website for a new venture he is working on so he understands more than most how crucial it is to promote your business at the early stages of its life. Video is getting more important and people are starting to see that with websites like Buzzfeed and Business Insider who always have video to back up their written content. Videos work well for the mobile viewer because they can condense information into something short, manageable, attractive and easy to follow but it’s also a sign that are attention spans are getting smaller as people no longer want to take the time to read the article it’s attached to. For the content marketer it’s become incredibly important because its often the first step in cross-platform marketing. Our videos have increased readership by catching the market segment audiences that do not have the time to read a whole post. They also allow us to quickly explain something or make a demonstration during the post. We’ve also used a video to come up with lots of status updates, infographics, slideshares, and blog posts just by expanding on its information. We’ve used the transcription of a video to increase our SEO. Keep the video engaging, it’s not a presentation. There needs to be something moving or playing on screen at all times or your audience will be bored. Start with a video and create other content from there, a video can sum up your main points or arguments which you can expand on in your blog post or article. Don’t skip on sound – Many companies trip on this one and their videos seem unprofessional and unattractive as a result. Get a decent background track and a good sounding voice-over artist. Try to include an animation, style or color scheme that is unique to your business. Make it no longer than 120 seconds – aim for 1 minute. We hope that the expertise form these startups has given you inspiration to start using video in your own content marketing activities. If so, you may want to keep reading. If you want to use video marketing for your business instead of having to pay for online reputation management companies to do it for you, you are going to need to have a good strategy. So, what do the best video marketing strategies have in common? If you want to effectively use video marketing for business, a publishing schedule is a must. There are certain times of day that social media is most active. Therefore, there are times of day when your video ad campaigns will reach the widest audience possible. If you want your marketing videos to reach a wide audience, conduct research regarding user engagement times for all the major social media platforms. People use Twitter, Facebook, LinkedIn and Instagram at various times throughout the day and week. Schedule your posts around the time that the most people will see it. This is imperative to a great business video marketing strategy. Video marketing campaigns will only be successful when you successfully master the art of storytelling. Video ads are about telling a story, not making a sale or promoting a product. Video marketing strategies are best used for brand awareness because they allow you to tell the story of your brand history. Make sure you remember this when you are developing video ad campaigns to achieve your marketing objectives. Garth Haley is director of Hyperfine Media. Hyperfine Media specialise in Video Production for Businesses and Charities.